The collector's point of view on... a Luminor PAM 590 watch featuring a “Bettarini” case, “non matching” dial and “8 Giorni” inscription. We are in Egypt, 600 years before Christ. The Pharaoh’s wise men have just developed a new instrument for reading the time. It is called the Merkhet. 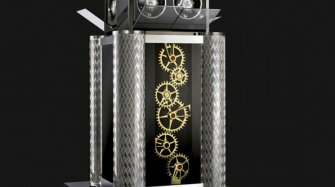 Its original construction allows it to read the time even after sunset. With this invention, man can start to tell the time even in the black of night. And this will allow him to improve the precision of time reading. But things have not always been so. Not so long ago, in fact, the ability to read the dial of a watch was of crucial importance. And, as is so often the case, it was war that created this need. On the night of 20th December 1914, the French Farman MF 11 were the first bombers to fly at night. The ability to read flight instruments in complete darkness thus became a strategic priority. From 1917, the American Defense Department decided to order luminescent watches from the US Radium Corporation, which used radium paint for the luminescence. History recalls above all the struggle of the “radium girls”, who spent their days painting watch dials with radioactive substances, with the health effects that we can imagine. 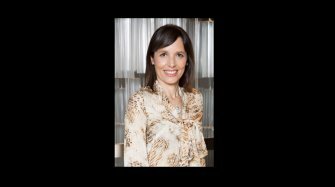 But at the time, this production was strategic… and it remained so for a long time. At the dawn of the second world war, such instruments that were readable at night were no longer needed just in the air. Night could also appear in the middle of the day – you just had to dive under water. We now move to Italy, where a few men understood that underwater combat could offer a precious advantage in the case of conflict. They followed the example of two of their predecessors, Major Rossetti and Lieutenant Paolucci, who became the first combat swimmers in history, when they sunk an Austro-Hungarian cruiser in the port of Pola in November 1918. Inspired by this feat, their comrades wanted to dive discreetly, swim towards their targets, destroy them and then disappear. They became the first combat swimmers of the 10th MAS flotilla. 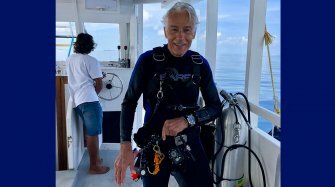 In order to operate at night and underwater, the members of the MAS flotilla needed equipment that was both reliable yet innovative, including genuine diver’s watches that were both water resistant and legible. And it was this latter aspect that needed the most work. 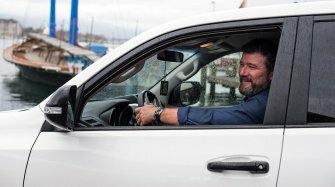 One of the officers in the flotilla heard about a watch workshop in Florence. He visited it and met Guido Panerai. 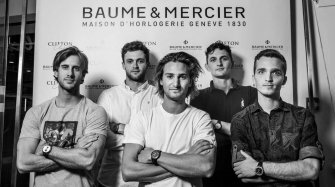 Together, they decided to develop a watch that would meet the requirements for future operations by the Italian swimmers. Once again, radium was called to the rescue. Panerai developed a water resistant watch with two superimposed dials: one was hollowed out with large 12, 3, 6 and 9 numerals and the other was covered with radium. 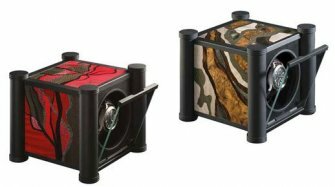 They were fitted into an oversized case that was 47mm in diameter and housed a Rolex movement. This is where the story starts. Italy’s combat divers started operations. Their exploits inspired navies all over the world. And they wore new versions of the Radiomir. By the end of the conflict, Panerai had produced just over a thousand watches, but this remained a military secret for years to come. In order to keep its market share, the Florentine brand improved its Radiomir models and looked to other countries that called upon the services of former combat divers from Italy. But the technical specifications did not change: legibility and water resistance. The dangerous radium was soon replaced by a new substance based on tritium: luminor. 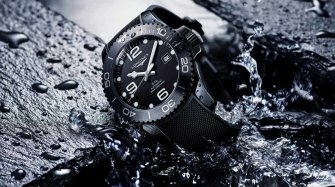 The water resistance of the newer diver’s watches was also improved by a new crown protecting bridge, which is today affectionately known among fans as the “bottle opener”. But it is once again an aspect of light that gave the new watch its name: the Luminor. 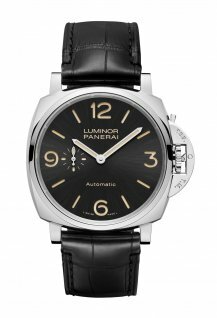 Still today, the Luminor and Radiomir models dominate the Panerai catalogue. They are no longer military secrets but they still keep their unmistakable DNA, a mixture of industrial design, operational simplicity and Latin charm. Luminor or Radiomir. The choice appears simple. Yet it is decidedly complicated. In the end, I opted for a Luminor that is particularly dear to my heart: the PAM 590. 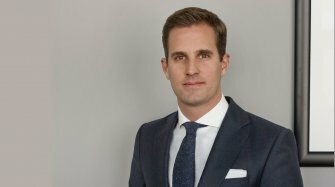 It is the link between the past and the present, bearing a seal that is famous in the brand’s history, and was launched this year as a limited edition. It is the embodiment of what I think a true Panerai should be. The Luminor and Radiomir are the two emblematic models of the brand, which was relaunched in 1993 and incorporated into the Vendôme group in 1997 (which later became the Richemont Group). 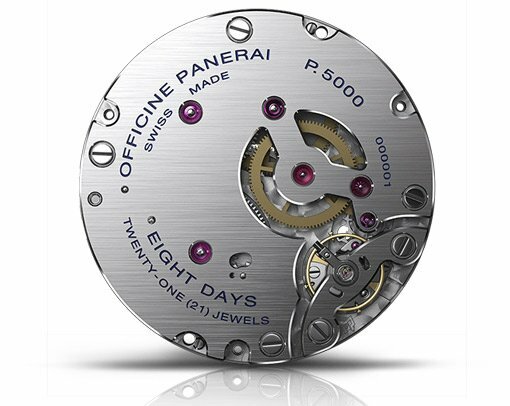 Officine Panerai has since experienced an astonishing rise to fame. 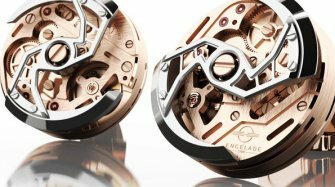 Even though its history is not as long as that of many of the famous Swiss brands, Officine Panerai has managed to exploit it in an almost unique way, using the techniques of Hollywood to build up its muscled up Radiomir and Luminor models in the style of the Expendables, order its collections like sequels or even prequels and grab the attention of an appreciative and particularly expert audience by developing its models in very small steps. 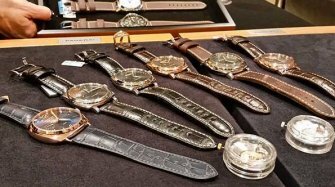 The brand has not only imposed its unique style, it has also liberated wrists by daring to offer 44mm diameter cases from the start of the 1990s, then relaunching the original 47mm cases at a time when 39mm was the norm. Furthermore, Officine Panerai probably invented the concept of special editions and still today manages to generate both excitement and frustration among fans and yet still be forgiven! Although the concept is now found in overabundance among its competitors, whose initiatives are not always successful, the Officine can delve into its history – and the abundance of prototypes and variants in its production – to surprise and constantly nurture the legend. 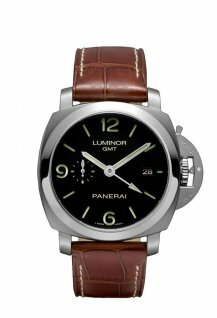 The Panerai Luminor PAM 590: From the US with love! The first version of the Luminor dates back to 1950. 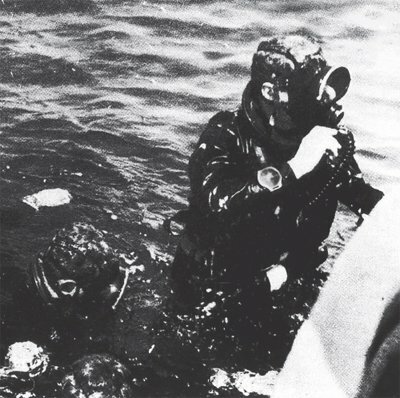 At the time, this diver’s watch had a diameter of 47mm and a case that was rounder than that of the current 44mm Luminor models. 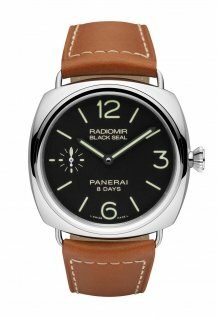 In order to highlight the difference, a few years ago Panerai produced a version similar to the original model: the PAM 372. But let’s get back to our contemporary Luminor. It means a lot in the recent history of the Officine, because Panerai re-entered the watch market with a similar model in 1993. 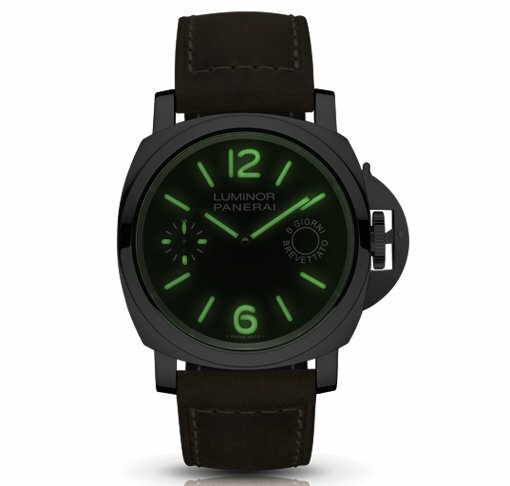 Before 1997 and the acquisition by the Vendôme Group, which later became Richemont, Panerai produced several versions of its Luminor with a concession to its predecessor: its size shrunk from 47mm to 44mm. Offering a 44mm watch in 1993 was already very audacious. Panerai would wait a few more years before re-issuing its legendary 47mm model. 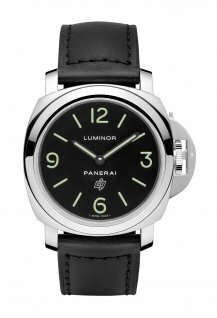 In order to lure future customers, the teams at Panerai decided to recreate the Luminor. The task was entrusted to Alessandro Bettarini, who designed a new case that was more angular than the original and had slightly reduced proportions. The success of this new version was such that Paneristi (as fans of the brand are known) call it the Bettarini. The Bettarini is still listed in the Panerai catalogue but at the SIHH in 2014 the brand presented a new version, still at 44mm diameter, but with a more refined profile. The PAM 590 uses this new case. Another major change is the movement. Since 1993, Panerai had been using Unitas movements in its Luminor models, which fitted well with its image as an assembler of tool watches. But, following its competitors, the brand presented its first “in house” movement, the P2002, in 2005. A long series of new movements followed until the hand-wound P5000 movement was launched in 2014, with an eight-day power reserve. Thinner than the Unitas, this movement allowed the Bettarini case to shed some weight. It is the impressive power reserve that makes the Panerai PAM 590 so interesting. It bears the inscription “8 giorni brevettato” on the dial, which first appeared in 1950 on a Luminor Submersible produced for the Egyptian navy. At the time, the watch was fitted with an Angelus calibre. The “8 Giorni” name stuck and still gets collectors salivating. Panerai has only launched a few models with this logo on the dial. The PAM 590 is one of them, which gives it even more charm. The dial hides another interesting feature of the 590. Like all Panerais it is simple and loyal to the principles of legibility. The 9 is replaced by a small seconds counter. 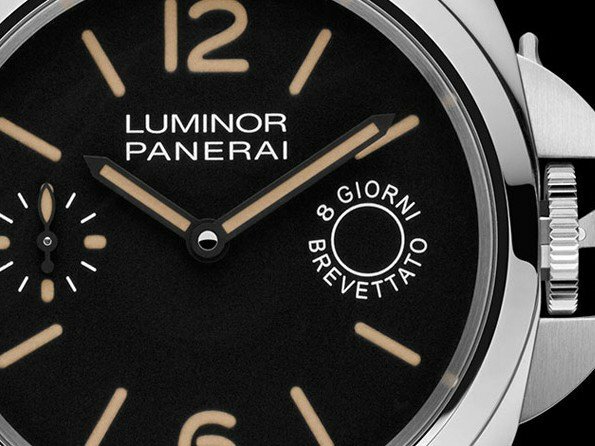 But if you look closer you will see that the colour of the hour markers is different from the colour of the “Luminor Panerai” text or the “8 Giorni” logo. The hour markers are orange, the text is white. In Panerai culture this is known as a “non-matching” dial. It is an allusion to the first watches of the pre-Vendôme period (before the acquisition by Richemont), on which some white luminous hour markers would quickly change colour on exposure to the sun, creating a difference in colour between the (non-luminescent) inscriptions on the dial and the hour markers. What was originally a quality issue thus became a genuine Holy Grail. Some dials were replaced but other owners kept their watches as they were, thus creating a buzz about “non matching” dials that now makes them sought after because they are original. 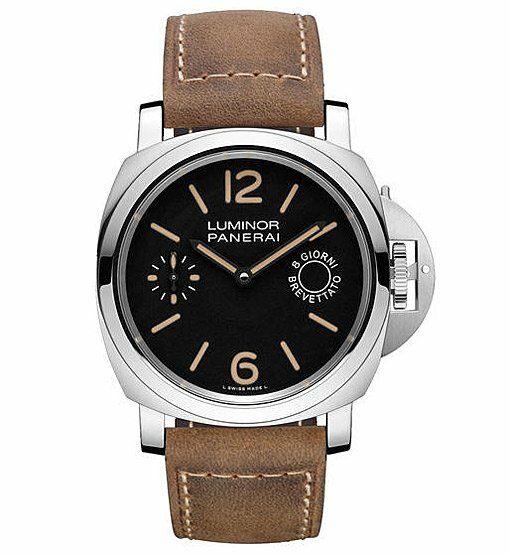 The Panerai PAM 590 takes on this characteristic and therefore has a dial inspired by vintage models. Another reason to fall for it. In summary, our Luminor has a “Bettarini” case, a “non matching” dial and an “8 Giorni” inscription. 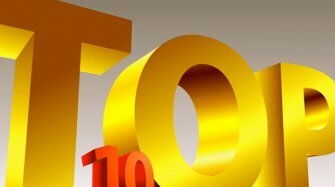 At the start of this review, these terms may not have got your attention. 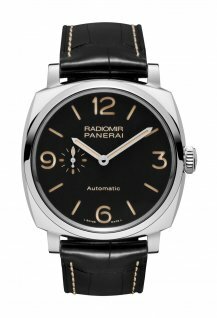 But now that you have become Paneristi, you know why this Panerai PAM 590 is so special. And if I add that in 2014 it is only available in the USA, I create both frustration and expectation. 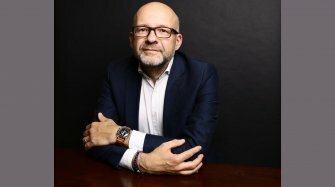 Welcome to the world of Panerai! A Panerai is recognisable, easily identifiable. This is both its strength and its weakness. The uninitiated will quickly say “OK, it’s a Panerai”. 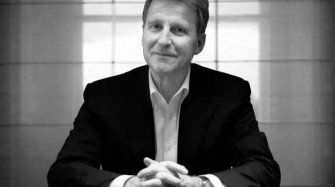 But the strength of the brand is in the subtlety of the changes it has made to its models from one year to the next. And this subtlety is sometimes… too subtle! You need time to appreciate the difference in colour of the hour markers, the orange of some numerals compared with the sandy yellow of others. Or the shape of a hand that recalls a particular model of 1942, compared with one from 1943! And there are numerous other examples. A Panerai, therefore, is not just a watch. It is an object that you have to get to know, and that takes time. It will help you to get to grips with a phrase that angers any enlightened fan: “they are all the same!”. 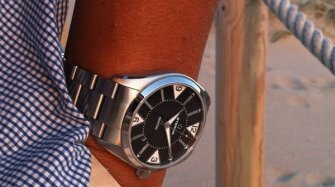 What image does the wearer of this Panerai project? A Panerai is a “tool watch”, an instrument for work invented to serve a particular purpose. It was born to be functional and effective, not to please. And that is precisely why it does please! 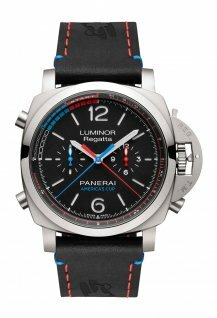 If the wearer of this PAM 590 is able to explain the distinguishing features of this model compared with another Luminor, he will already have come a long way and will be considered an expert rather than someone who has simply given in to a particular fashion. Another point that is specific to Panerai watches: their ability to “accept” all kinds of leather straps. The Luminor is particularly versatile in this regard and has helped to build up a “strap culture” that is specific to the brand. So if you really want to show that you are an aficionado, nothing could be simpler: forget about the strap supplied with the Panerai 590. It’s not that it’s ugly in any way, just that you should not keep it! That’s the way it is. Choose a 74 instead, which will suit it very well. Why Not Paneristi? Why Not Paneristi?